Meter Filament Tape is ideal for repairing Book Hinges. Meter Filament Tape is a strong, two way fibreglass reinforced tape that is ideal for repairing Book Hinges. This pressure sensitive sticky tape is extremely durable due to the filaments that are embedded into the tape surface to give it a high level of strength. Filament Tape is designed for heavy loads making it perfect for book covering and book repair, where the cover has come away from the book due to the weight of the pages. Meter Filament Tape ensures that books stay bound. 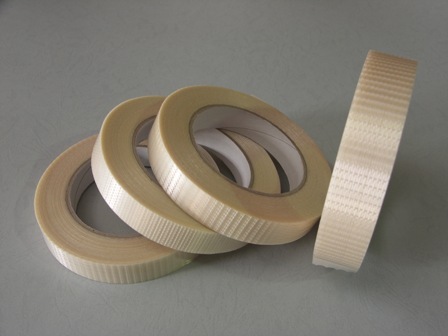 Made from polypropylene film Meter Filament tape is available in a variety of widths. All rolls of Filament Tape are 50 Metre in length. Click on the links below for pricing and more information on Filament Tape Range.